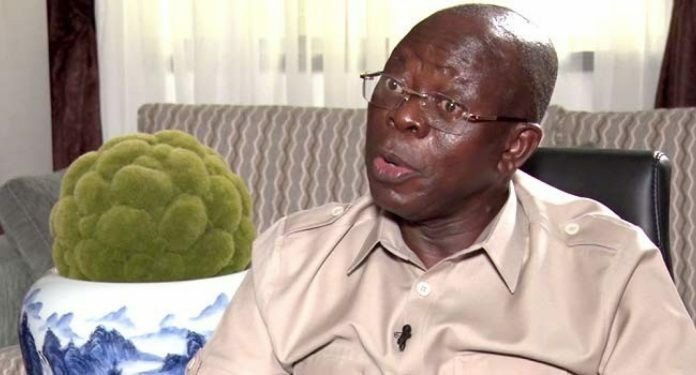 SAN FRANCISCO, April 01, (THEWILL) – The All Progressives Congress, APC, has denied that there is a rift between its national chairman, Adams Oshiomhole and Transport Minister, Rotimi Amaechi despite credible feelers from our sources in the ruling party that the controversial chairman and Asiwaju Bola Tinubu, its national leader, have been tacitly trying to undo Amaechi’s influence in the presidency and South-South through their implicit support for Senator Magnus Abe and his faction of the party in Rivers State, Amaechi’s home state. The party in a statement by spokesman, Lanre Issa-Onilu, however insists that the two former governors enjoy cordial relations, saying the media misreported Oshiomhole’s comment in an interview when he distanced the national headquarters of the party from the alliance between the APC and the African Action Congress (AAC), in the governorship election in Rivers State. Our attention has been drawn to some reports in the media purporting a disagreement between the National Chairman of the All Progressives Congress (APC), Comrade Adams Oshiomhole and Minister of Transportation, Rotimi Amaechi over the alignment of the Rivers State APC with the governorship candidate of the African Action Congress (AAC), Awara Biokpomabo. It is regrettable that the APC National Chairman’s statement is being twisted to suit a jaundiced narrative. This narrative is at best, mischievous, pedestrian and should be disregarded. The APC Chairman’s statement is unambiguous as to the effect that the APC’s National Working Committee (NWC) does not have any formal alliance with AAC. This is without prejudice to any local arrangement that may exist.